Top 10 Best Toilets - (Reviews & Ultimate Guide 2019) Pick A Toilet! 4 10 Tips To Find The Best Toilet For You! 5.1 What does ADA mean? 5.2 What Is Water Sense? 5.3 The Difference Between a Macerating Toilet and a Standard Toilet? 5.4 Rough In – What Does it Mean? 5.6 Round or Elongated Bowl Shape? 7.1 How Do You Measure For A New Toilet Seat? 7.2 What Is The Height Of A Comfort Height Toilet? 10 What Are The Best Toilet Brands? 11 Check Warranty Before Deciding The Brand! 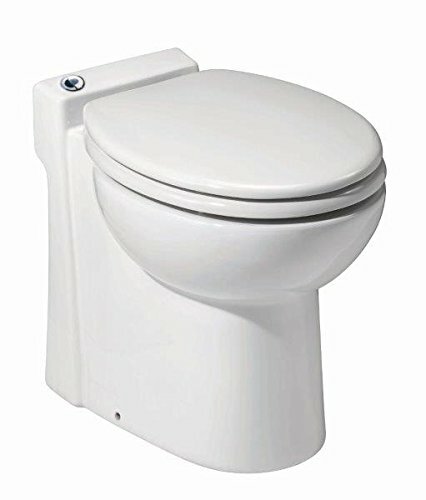 When looking at buying a new toilet, how do we know which one to buy? The aim of our compiling the best toilet reviews is to help you reach your decision. In our more detailed individual reviews, we have given each an individual toilet rating based on our assessment of the toilet and how it compares to the other toilets we have reviewed. To help find your way through all the advances and options, we have selected the 10 top rated toilets available. They are not just chosen for added features, but for size, cost, and efficiency. 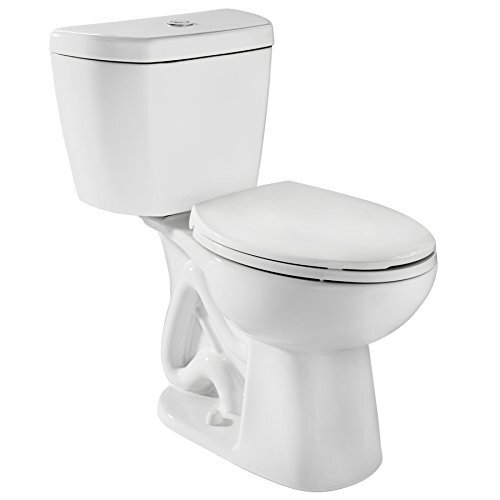 The detailing on the K-3718-0 is one element that makes this toilet stand out from many others. It has a very retro look to the outside, but the flushing system is completely state of the art. The toilet is a two-piece configuration with and elongated bowl. Even though it only uses 1.28 gallons of water when flushed, the high siphon system and the way in which the water is directed means that this flushes more efficiently that an older 3.5-gallon flush system. It’s very easy to clean which is one of its strong points. Check out our recommendations on toilet brushes if you want to have an even easier job at it. The 17.5” height to the toilet seat is in keeping with the ADA compliance. As is common with many toilets, the internal plumbing, and a chrome trip lever are included but the toilet seat must be purchased separately. The waste pipe uses the standard 12” rough in. To read our full review of the KOHLER Memoirs Toilet follow this link. 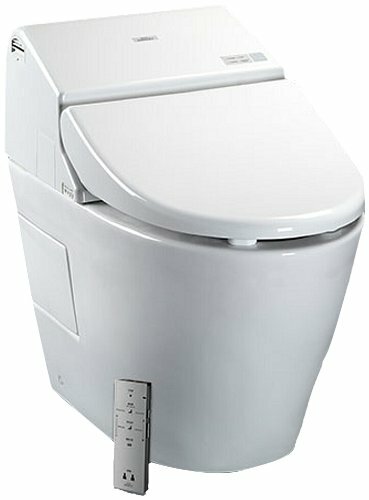 This one-piece toilet has the elongated seat design and is full of curves. This means that the bowl shape when combined with the special EverClean surface, the toilet is easy to keep clean. The height of the seat (which must be purchased separately) is to the standard ADA recommended height. This toilet has a very high rate flushing capacity of 2.2 lbs. This capacity is 70% higher than the industry standard. This is achieved by a combination of using a 4” flush valve, which delivers the 1.6 gallons of flush water in less than 1 second. The flush is aided by a 2 3/8” fully glazed waste pipe. The flush system is fully tested before it leaves the factory, giving American Standard the confidence to give the Champion 4 a limited 10-year warranty. To read our full review of the American Standard Champion-4 follow this link. This very compact toilet uses a macerator system with a pump to remove all waste. This is a toilet that can be fitted into locations where other toilet installations may not be practical, for example in lofts, basements, under stairs or even garages. It is a tankless toilet, no water tank, instead uses water from the mains supply to flush. The macerator system uses a powerful electric motor to reduce the waste and then with 1 gallon of water, the waste is pumped away through a 1” pipe. The toilet can also handle waste water from an adjacent sink. The toilet is a space-saving round design and comes complete with the toilet seat. Read our full review of the Saniflo SANICOMPACT Toilet by following this link. 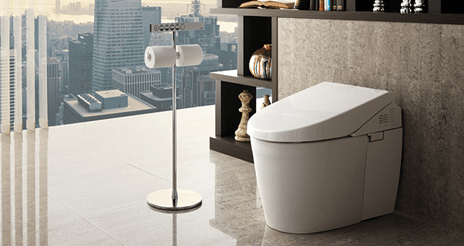 The Neorest is a very compact toilet and bidet combined and has remote controls and automatic functions built-in. The Wonderwave feature uses a combination of warmed water and a warm air dryer in the bidet operation, and at the same time uses the water to flush the toilet. The seat has an automatic raise and lower function and at night, there is a nightlight to illuminate the toilet. The toilet and bidet combination comes complete with seat and remote control. The height of the toilet seat is in compliance with ADA recommendations. Some one piece toilets are hard to clean but this isn’t the case. Another great toilet from Toto. 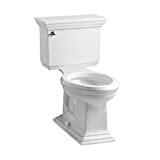 You can find more dual flush toilets here in this post. For a more detailed account of all the functions, read our full review of the Toto Neorest. The Wellworth is a two piece toilet of conventional height at 14 ½” plus the height of the separately purchased toilet seat. It is a two-piece design with an elongated seat. All the internal plumbing for the cistern plus the polished chrome trip lever are included. This is a very competitively priced toilet but still has many benefits for some higher priced models. It has a low volume, 1.6-gallon flushing system as well as 2 1/8” fully glazed trap way. The Wellworth uses a standard 12” rough in. Read our full review of the Kohler Wellworth by following this link. The MS970CEMFG is most certainly not what one would call a conventional toilet. The first clue is the name; it is actually a Washlet with integrated toilet. The second clue is that it comes with a multi-function remote control. A ‘Washlet’ is Toto’s name for a bidet. So in English, it is a combined bidet and toilet. The Washlet is technologically advanced in the materials in its construction. The glaze is SanaGloss, which is a very high-gloss glaze that cleans easier when flushed, leaving the toilet cleaner for longer. Added to this, a Dual-Max cyclonic flushing system is used for highly efficient flushing whether on the standard 1.28 gallon or the quick 0.9-gallon flush. There are an automatic opening and closing of the lid as well as automatic flushing. Added to this it has a built-in air deodorizer as well as an adjustable heated seat. When used as a bidet, the water is first warmed. As with the TOTO Drake ii, the seat height is ADA compliant. To read our full review of the Toto Washlet with Integrated Toilet follow this link. This is a two piece toilet that has ADA compliant seat specifications. The Niagara Stealth has a very highly efficient flush system that uses only 0.8 gallons per flush. It combines air with the flushing water in a patented system that not only increases the efficiency of the flush but also gives a very quiet flush at the same time. It has a surprinsingly good flushing power for such little consumption. With the patented flushing system and the fully glazed trap way, Niagara claims that the flushing system will clear the bowl every time on the first flush. There is a low friction ceramic coating on the toilet that helps ensure that it is cleaned every time it is flushed. This is a best rated toilet by both critics and consumers alike. To read our full review of the Niagara Stealth Toilet follow this link. 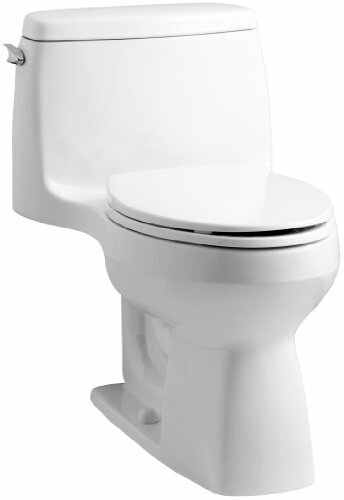 The American Standard H2Option is a round shaped two-piece toilet. The rounded front of the toilet means that it takes up less space than an elongated bowl, so is better suited to smaller rooms. It has a dual flush system using 1.6 gallons on a full flush and 1.0 gallons on a partial flush. The toilet is Water Sense approved. 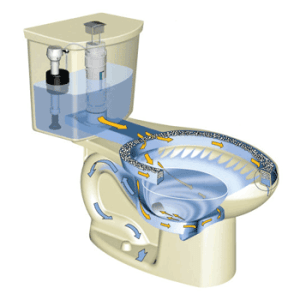 Even using so little water per flush, with the Powerflush system, the water is pressurized and enters the toilet through a series of strategically placed holes around the rim. This allows the H2Opition toilet to deliver a better flush using less water. The surface of the toilet has an EverClean coating that is mold and stain resistant, meaning that the toilet stays clean for longer. For the full review of the American Standard H2Option follow this link. 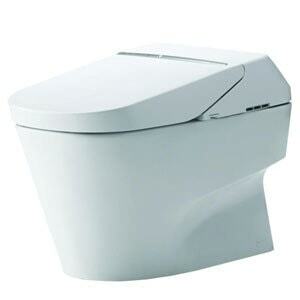 The Santa Rosa is a one piece toilet with ADA-specified seating height and an elongated bowl. However, due to the design features, this toilet only takes up a similar amount of room as round bowled toilet (which are not ADA approved) does. This is a low water usage toilet that is Water Sense approved. It uses the Kohler’s AquaPiston system that is designed to give effective toilet bowl cleaning even though less water is used. The AquaPiston system produces a greater flushing effect than a standard 3 ½ gallon flush while only using 1.28 gallons of water. The toilet comes complete with all the internal plumbing including a chrome trip lever and uses a standard 12” rough in. Read our full review of the KOHLER Santa Rosa Toilet by following this link. The Toto Aquia uses Toto’s Dual Cyclone technology to get the best flushing toilet results from the 1.6 gallons and 0.9 gallons flushes. As with most dual flush systems, there are two buttons on top of the lid allowing you to select which type of flush you want. Although this toilet uses the standard 12” rough-in, there is an option to buy an additional kit to make it suitable for either a 10” rough-in or 14” rough in. With a toilet seat, which is purchased separately, the toilet does not conform to ADA height recommendations. 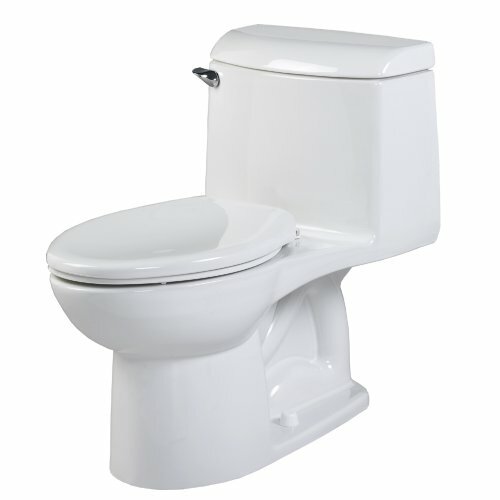 For our full review of the TOTO Aquia Toilet follow this link. 10 Tips To Find The Best Toilet For You! When you buy your toilet, you will expect it to be useful for a good 10 years or so after you have bought it. If you want something that will be suitable and that will last you for a long time, you should take the time to do a little research beforehand. When you are looking online for your toilet, make the most of to compare features on store sites and make sure that you get the toilet that has the best flush rating. This will give you an indication of how well the toilet flush performs over time and ultimately will mean that the toilet maintains a strong flush. When you are looking around for the best toilet, you may find that some toilets are particularly efficient. High-efficiency toilets can save you up to 4000 gallons of water each year per person in your household. There are some water utility companies that even offer you money back when you purchase one of these efficient toilets. It is essential that you check reviews of these toilets before you purchase, however, as some plumbers claim that high-efficiency models can become stained or clogged quite easily. 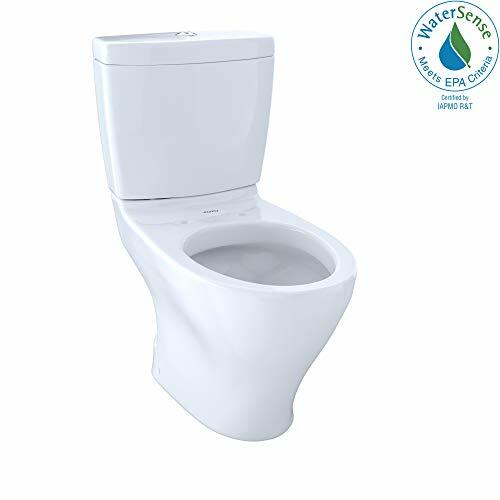 If you are particularly conscious about saving water, you should get the toilet that works the most efficiently. Pressure-assisted toilets and gravity toilets are the two main kinds for you to choose from. Plumbers would usually recommend that people trying to save water should always choose a pressure-assisted toilet. These cancer toilets work by having a tank that is separate from the bowl. This tank is filled with water that is under pressure. When the toilet is flushed, the water is released at high-speed so that the bowl can be cleaned more quickly and the waste can be carried away more effectively. It is worth noting that these kinds of toilets are more expensive than gravity toilets and they can be noisier. It can sometimes be more difficult as well to find parts or to repair a pressure assisted toilet. If you’re one of those kinds of people who really hate cleaning, you should think about getting a one-piece toilet. These kinds of toilets are far easier to clean, as there are fewer parts, however, they are far more expensive than the standard toilet. One-piece toilets are also far heavier than two-piece units, meaning that they are slightly more difficult to install and have greater requirements for mounting. If you find that sitting on the toilets can sometimes be difficult or even uncomfortable, you’ll be pleased to know that there are toilets that have been designed for people like you. The Americans With Disabilities Act has strict guidelines and toilets that comply with these guidelines have higher bowls that are set at either 17 or 19 inches. This is considerably taller than the standard of 15 inches. Whilst these are more suitable for the elderly and those with disabilities or who are taller, they may be unsuitable for smaller children. Although you may feel silly doing it, you should maybe try going to a stall and sitting on one of the display toilets. Unless you are making some significant remodeling changes to your bathroom, you should always remember to measure the rough-in of your existing toilet before you purchase a new one. This measurement is the distance from the bolts that hold down your current toilet and the back of your bathroom wall. This measurement will ensure that your new toilet will be able to be installed in your bathroom without needing to redecorate or cover up any holes that are left by moving your old toilet. When people are upgrading their toilets, sometimes they can get carried away with deals offering elongated bowls. f you have any cupboards, for example, you may find that having an elongated bowl means that you cannot open your doors or drawers. These days, there are plenty of toilets that offer a dual flush toilet system. What this means, is that there is one button or flush for liquids and 1 button or flush for solids. The flush for liquids uses around half the water that is used to remove solids. It is estimated that these toilets can save around 25% of water in comparison to what you usually would use. One of the only setbacks with these toilets is that there are not as many colors or styles to choose from. It can also take a little while to find the right flush for you, as some people find some flush buttons or hhandleto be difficult to move. With most things, people trying to save money when they can. If you are changing your bathroom, or simply upgrading your toilet, you should think again before cutting the budget for your toilet. Although a toilet is not the most glamorous items that you will buy for your property, it will be paramount in providing you with basic sanitary needs and keeping bacteria and smells out of your home. If you choose one that is of bad quality, it could end up leaking or being costly to repair when something goes wrong. Just like with anything else, when you are purchasing toilets, it pays to shop around. Make sure that you compare all the toilets that are available at the time and choose the one that is best for your needs. Sometimes, you will find that there are a few toilets that are suitable, and in this case, you will be able to choose the cheapest one. In our reviews, there are some terms that are used to describe certain features that the toilet has. Below we have added a more detailed explanation of exactly what these features are and what they mean. On many toilets, you see mentioned that it complies with ADA specifications or recommendations – what exactly does this mean? The specifications are based on the 2010 ADA Standards for Accessible Design. This standard sets out exact specifications for the design and build of bathrooms and bathroom accessories. Any new bathroom, or bathroom that is being updated, to which the public have access must conform to ADA standards. To comply fully with the ADA guidelines that came into force in 2011, toilet seats must be no less than 17” from the floor and no more than 19”. The toilet must also have a lever flush mechanism, therefore, although many dual flush toilets will meet the height recommendations they cannot be fully certified as they do not meet the flush lever regulations. 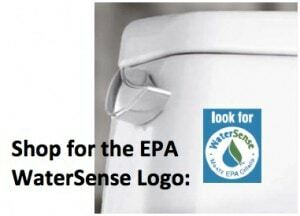 In 2006, the EPA Water Sense initiative was introduced. Water Sense is a scheme that encourages the conservation of water. For any product to gain the Water Sense accreditation, it has to be independently verified as being at least 20% more efficient than the average product. As early as 1988 low capacity flush toilets of 1.6 gallons were mandated in Massachusetts for all new buildings and remodels. As part of the Energy Policy Act of 1992, it was mandated that all toilets installed for new builds and remodels in private houses from 1 January 1994 and toilets installed anywhere in the US after 1 January 1997 should have a flush capacity of no more than 1.6 gallons per flush. The Federal standard is then set currently at 1.6 gallons per flush. Therefore to meet the Water Sense target, a toilet has to use 1.28 gallons per flush or less. It is estimated that a Water Sense toilet can save each average household over 16,000 gallons of water per year when compared to an older toilet. In some locations, such as Los Angeles, it is a requirement that all new toilets fitted must be an HET (High-Efficiency Toilet) and not use more than 1.28 gallons per flush. With Dual flush toilets, the 1.28 gallons is calculated as the average from a single full flush and two partial flushes. In many localities, the water providers have partnered with the Water Sense scheme and will offer discounts to users with certified products. These schemes do vary from area to area, and a list of partner companies can be found here. Although the EPA Water Sense certification is a federal initiative, the incentives offered on such toilets are not universal across the whole of the US. 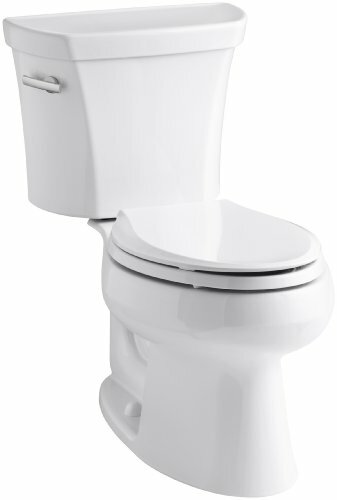 In many municipalities buying a Water Sense certified toilet will entitle you to a rebate. The areas that do offer rebates are available on the EPA Water Sense website. You can check out your eligibility by following this link. Even though you may not be eligible for the rebate on buying the toilet, by having a Water Sense certified toilet, you will save money on your water bills. Note; for dual flush toilets the 1.28 GPF is calculated as an average consumption of 1 full flush and two partial flushes. This allows dual flush toilets with a 1.6 gallon per main flush as long as the partial flush volume takes the average to 1.28 GPF or below. The Difference Between a Macerating Toilet and a Standard Toilet? With a standard toilet, water flushes the waste matter around an ‘S’ bend in the base of the toilet into the waste water pipe. Gravity then takes over and takes the waste to the sewers or your own waste water system (cesspit etc.). With a macerating toilet, the waste is ground to a slurry. This slurry is then pumped from the toilet into a sewer or other waste disposal system. The advantage of this is that the toilet can actually be level or even below the waste pipe. Additionally, as a (typically) 1” pipe is used the toilet can be some distance from an existing waste pipe. With this system, there is no need to have a fall in the pipe to allow gravity to remove the waste. A macerating toilet can even be on a level below an existing waste pipe and still work. Macerating toilets are more expensive than standard flush toilets, but the cost of the toilet must be weighed against the convenience and savings in installing separate waste systems. Rough In – What Does it Mean? A rough in, when referred to toilets is the position of the entrance to the waste hole in the floor relative to the adjacent wall. The standard ‘rough in’ dimension is 12” but there are variations on this. The rough-in is measured from the finished wall to the center line of the waste pipe. Some toilets, such as the Toto Aquia for example, have the option to have a kit (purchased separately) that will accommodate either a 10” or a 14” rough in. The rough in applies to standard flush toilets, macerating toilets have a different waste system, see above for details. On many of the toilets available today you will see mention of special finishes on them. Toto has SanaGloss (which somewhat confusingly they refer to as CeFiONtec in some Toto literature), and American Standard has its EverClean surface finish, to name but two. These finishes are a very smooth surface that material has difficulty attaching to; this means better cleaning with the flush and a higher resistance to staining in the bowl. In addition to the enhanced cleaning the toilets with these special finishes have a resistance to bacteria, mold, and mildew. To maintain these finishes for the longer term, it is necessary to use milder cleaning agents to avoid damaging and scratching the surface glaze. Round or Elongated Bowl Shape? Why do some toilets have a round shape bowl while others have an elongated bowl? There are several reasons for this. Round bowls take up less room than elongated bowls, and, as a result, are more suitable for fitting into areas where space is at a premium. Elongated bowls tend to be more comfortable while sitting due to the additional support given to the legs. The only drawback with the elongated bowl designs is that they do take more floor space than rounded front bowls. The exception to this is the KOHLER Gabrielle. This toilet solves the problem of taking up additional floor space by having a concave face on the tank. This curve allows the toilet bowl to be set back further than usual. 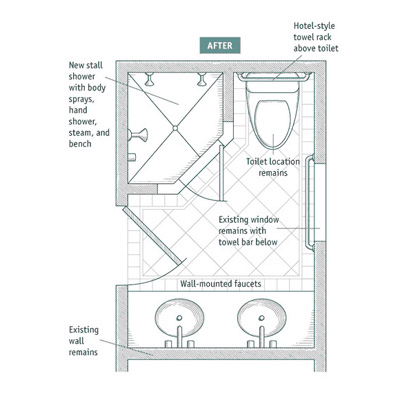 The end result is an elongated toilet that takes up no more room than a rounded front toilet. Note: – All ADA compliant toilets must have an elongated bowl. Sometimes, toilets can develop a problem where they seem to flush themselves at random. This can be a little worrying, especially at night time when the toilet seems to be flushing itself, which can lead to children, in particular, having nightmares and feeling uneasy. Luckily, this is a simple problem to fix. It is caused by water that leaks gradually into the bowl. This is due to a valve that has perished and as a result allows the water to drip through. In order to fix this, all you need to do is remove the existing valve. Take this valve with you to your local hardware store where you will be able to compare to other valves available to purchase so that you buy the correct replacement. These days, toilets are sold that help you to save water. This is great news for some, however, sometimes you will find that the toilet does not flush strongly enough. Usually, when you get your toilets, the manufacturer will give you instructions on how to install and use the toilet properly. You should check these instructions to see how to set the fill valve. This will allow you to make sure that the tank fills up to its maximum level every time this will ensure that you have the strongest possible flush. Sometimes toilets will develop the habit where they constantly run. The noise that this causes is enough to drive anyone mad and it’s also a great way of wasting water. This is another common problem that is easy to fix. The flapper valve on your toilet not sealing itself properly usually causes it. You should make sure that there is nothing in the toilet bowl that is causing the valve to stay open such as a cleaning block. Mineral deposits can also cause the valve to stay open as they collect around the top of the toilet seat. Sometimes you may find that the toilet tank looks as though it is dripping. Whilst this problem can be to down to condensation dripping down the tank, it could mean something worse. The best way to check if you haven’t cracked tank is to drop some food coloring into the tank. If the drops start to form in the color of the food coloring color, it is possible that you have a cracked tank. You should also check the pipes for leaks. Occasionally there will come a time where you flush the toilet and the water level won’t stop rising. Closing the lid and hoping for the best just won’t cut it. To prevent it from overflowing, you need to stop the bowl from filling. To do this, you need to grab the ball the floats in the tank and prop it up. This will stop the tank from filling anymore. Of course, if it is filling and not draining, then your toilet is blocked, so you will still need to use a plunger to clear the blockage or follow the link of how to unclog a toilet in this post as well. You can also follow the link to “unclog your blocked toilet without a plunger“. How Do You Measure For A New Toilet Seat? To measure for a new toilet seat, you will need a measuring tape. Take the tape and measure from the front center of the toilet bowl and measure to the center point of the hinges. You should then measure the bowl across at the widest point. Make sure that you always measure at the widest and longest points of the toilet bowl. You should measure your toilet bowl at least twice to ensure that you have not made a mistake with the measurements and note down the unit of measure that you are using too. First, you should measure the room overall and make a diagram. Make sure that you are using the correct unit of measurement and stay consistent with this. You should include the doorway measurement and the area that your door needs to open. Do not include any existing furniture in your diagram if you plan on changing it. Next, you need to measure the windows and how high they are off the ground. You don’t want them to be obstructed by your new bathroom furniture. Measure the height and the width of the window. You should also mark on the diagram which room each wall connects to. External walls are especially important, as these will be the walls that you will attach any waste pipes to and extractor fans. Remember to measure the height of the ceiling and don’t just measure the length of one wall to get the length and width of your bathroom. Some bathrooms are slightly irregularly shaped and parallel walls are not truly identical in length. This can be a problem if your furniture will be a particularly tight fit. What Is The Height Of A Comfort Height Toilet? The American disabilities act specifies that the toilets that are made to be at a comfortable height for the elderly or disabled should be at a height of 17 or 19 inches. A standard toilet is 15 inches high usually. Obviously, everybody’s version of a comfortable height is different. It depends hugely on your own height and your personal needs. Taller people and the elderly usually benefit the most from the comfort height toilet. It should be noted that smaller people and children would need a lower toilet so if there are children in your home, you should choose a 15-inch standard height toilet. There are four main flush systems that you can choose for your toilet. This guide will explain each one briefly. The kind of flush that your toilet uses will be important and depend on the kind of design of toilet that you are going to choose, You will need to ensure that you choose the best flush to keep your toilet bowl clean. A gravity flush system is probably the cheapest option for a toilet. The water in the tank is used to create the pressure for the flush and this is the gravity of releasing the water that allows water from the tank to flush into the bowl so that the bowl can be cleaned and waste can be taken away. The siphoning action is used to help clean the bowl and thanks to the lack of any other mechanic involvements, this is the quietest kind of flush that you can choose. It is one of the oldest kinds of technology that is still used in toilets today and seems to be a timeless mechanism. As there are very few parts and no special machinery or mechanics, these kinds of toilets are very easy to maintain and repair and have very cheap running costs. The gravity flush system is used in one and two tank systems. The pressure-assisted flushing system relies on pressurized air and water from a separate tank that is forced into the toilet bowl so that it can be cleaned. Because of the pressure that is released with this kind of flush, these kinds of toilets can often become clogged. Due to the mechanics of pressurizing the water, these toilets can be quite noisy, but some people can live with the noise as a trade-off for the extra power. As this is the more modern technology, pressure assisted flush toilets are not as popular as gravity flush toilets. Dual flush toilets are still relatively new to the market, however, they are gaining increasing popularity. They have proven themselves to be more popular already than pressure assisted toilets and are quickly catching up to the popularity of the more traditional gravity flush. It is likely that the popularity of this flushing system is due to the ability for the consumer to choose a partial or full flush in order to save water. By using a partial flush option for liquid waste and a full flush for solid waste, up to 25% of water can be saved in comparison to a standard gravity flush toilet. In addition to the water-saving option, this kind of flush system is also popular because no power is lost in the flush despite the low water use. Double Cyclone flush systems are still quite specialized and are only used by a handful of manufacturers at present. It seems to be a good alternative however to dual flush systems. Due to the technology used, the double cyclone system ensures that is a far smaller amount of water is used in each flush, however, the same force is still is there as you would expect from a normal flush. This ensures that your water bill stays low but your toilet does not suffer or become clogged. Instead of using Rim holes like a standard toilet use, the double cyclone flush toilets have two nozzles. A propulsion system expels water via a siphon and this is what creates the most efficient flush. This flush system incorporates some of the same technology used in gravity-flush toilets, however, no power is lost and less water is used. There are many manufacturers of toilets all trying to get us to buy their products. From all these manufacturers, there are some brands that remain highly popular. This popularity is due to a variety of reasons. It can be because of they a highly innovative, or possibly just because the name sticks in people’s minds, or that they offer what no other toilet manufacturer offers. Here we will take a look at four brands that are some of the most popular around. Toto was found in Japan over 100 years ago, but today has manufacturing centers all over the world. Although Toto produces a whole range of bathroom products, it is probably best known for some of its technological innovations with toilets. In 1993, Toto developed its Neorest range of toilets. The Neorest was a joining of a toilet with a bidet and the automating many of the functions with electronics. The result of this was a total automated, hands-free toilet with integral seat warmers that automatically opened and closed. Toto continues with its innovation today, but its wide range of products include standard toilets as well as the high-tech versions. A prime example of one of Toto’s standard design toilets is the Drake 2 piece. Kohler Manufacturing began life in Wisconsin in 1873. Initially, the company produced farm implements and castings. The company moved into bathroom fixtures in 1873, when a horse trough was enameled to produce the first Kohler bath tub. Since then Kohler has expanded to produce a full range of bathroom furniture for both the residential and commercial markets. While Kohler may not have as many headline-grabbing toilets as Toto, it does have some very well engineered toilets. Among these toilets is one of the very few dual flush toilets that have a trip lever. This trip lever means that their dual flush toilets are among the few that are ADA compliant. Kohler is a very diverse company today, involved in a wide range of engineering manufacturing as well as owning golf courses. American Standard was formed in 1929 by the amalgamation of the American Radiator Co and Standard Sanitary Manufacturing Co. American Standard is probably one of the best-recognized brands of toilet manufacturer in North America. One of the reasons that you will see American Standard used in so many restrooms that have public access is the reputation for well-built, efficient and reliable toilets. There is a wide range of designs, starting at utilitarian and going all the way up to very sophisticated and fully featured automatic toilets. American Standard toilets all come with long warranties, in some case up to 15 years. Although Saniflo may not be as well-known as some of the other manufacturers of toilet we have mentioned, in the particular market that Saniflo services it is the premier brand. Saniflo manufactures macerating toilets that can be located, with minimal plumbing, in areas where it is impractical to fit a standard flush toilet. 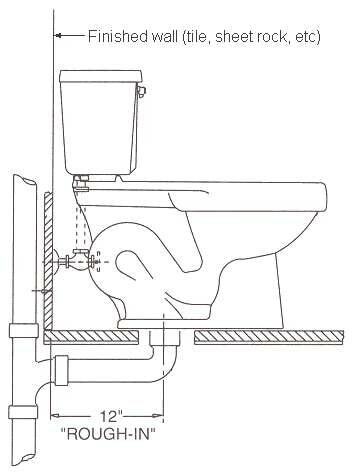 For example, a Saniflo toilet can be located in an area that is actually below and far away from the main drain line. It removes the waste by macerating it and then pumping it away to the waste pipe. The toilet can be as much as 9’ below and 30’ away from the waste pipe. When fitted with a half bath, the Saniflo toilet can also remove waste water from a sink, all through the same 1” pipe. Danze Orrington is also worth to check. Check Warranty Before Deciding The Brand! It’s a no-brainer when it comes to the question of warranty. Of course, having a warranty is an important thing, and when you have a new toilet, you will want to be sure that nothing will go wrong. The toilet is not a glamorous item to purchase and no one wants to be replacing a toilet too soon. The problem with warranties when it comes to toilets is that there are a lot of companies who offer a simple one-year limited warranty. If you want a longer warranty, usually you have to purchase a more expensive toilet and there is a big jump from the standard one-year warranty to a more comprehensive ten-year warranty. When your toilet is the most used appliance in the house, a one-year warranty often doesn’t seem like a good enough deal. Sometimes, it can even be difficult to choose a manufacturer that you know will offer a longer warranty. Where you would think that the more well-known brand such as Kohler would offer you along the warranty, they actually only offer a one-year limited warranty. When it comes to toilets, however, the usual theory that a short warranty means that the company does not believe in their own products doesn’t stand up. Sometimes you don’t need to worry about the length of the warranty. There are some manufacturers that offer along 20 to 30-year warranty whose unhappy customers have taken to review sites to express their disappointment in their products. It can turn out that warranty that is offered over such a long lifespan is not as extensive as the buyer would initially think. In contacting the manufacturer, some customers can find that their warranty wasn’t as comprehensive as they were initially led to believe. The best thing to do is to choose a brand that you feel that you can trust. Check customer reviews and make sure that existing customers are happy with the level of service that they have received. You could also say specifically for reviews about the warranty from your chosen model’s manufacturer. Often, choosing a trustworthy brand can ensure that your warranty can also be trusted. You should also ensure that you read any documents that come with your toilet to ensure that your warranty covers everything that you think it should. In our Top 10 selection, from the over 20 best flushing toilets on the market right now (late 2018) we have reviewed in detail, we have included as wide a cross-section of the most rated toilets available that will satisfy as many needs as possible. Included are dual and single flush and toilets with special surfaces. We have included a selection of ADA compliant toilets that can be installed in restrooms that are used by the public and employees. A range of toilets with low water consumption that is mandated in some locations around the country. 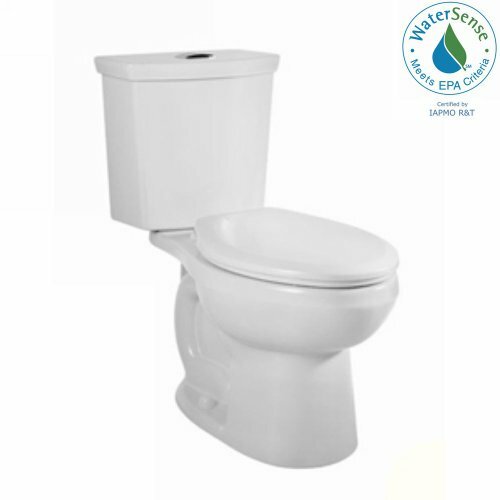 Where toilets are Water Sense certified we have directed you to the EPA web page to see if you are eligible for rebates. In case you are looking for a composting toilet, visit our post that we reviewed top 3 in the market. And if you need a portable toilet, we have a definitive guide you must check before purchase. In short, we have cut through the jargon that some manufacturers like to attach to features on their toilets and given an unbiased layperson’s explanation.